Heat gas or charcoal grill. In large bowl, mix turkey, chiles, cheese pieces and salt. Shape mixture into 4 patties, about 3/4 inch thick. Place patties on grill over medium heat. Cover grill; cook 13 to 15 minutes, turning once, until meat thermometer inserted in center of patties reads 165°F. Top each burger with 1 slice cheese. Cover grill; cook about 30 seconds longer or until cheese begins to melt. 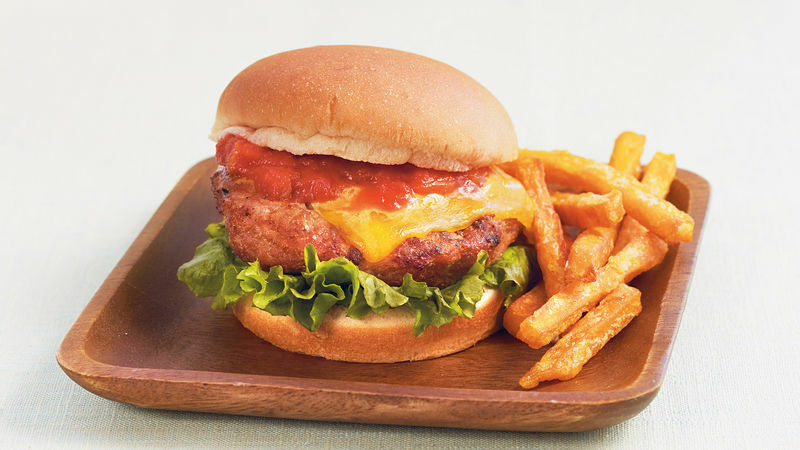 On bun bottoms, place lettuce and burgers; top each with 1 tablespoon salsa. Cover with bun top. To keep burgers flat while grilling, press thumb into center of burger after shaping.